Sarah Klamm will make you feel at ease with the buying and selling proces. She is a 10 year veteran of the local real estate market and believes that caring for clients, market knowledge and professionalism are the keys to a successful client relationship. As a top agent with Layton Real Estate, and life long resident of the area, Sarah offers unique knowledge of the ins and outs of home and land purchases in Franklin, Johnson, Douglas and Miami counties. Not only has she negotiated sales for clients, she herself owns rental properties, rural property and commercial real estate in and around Wellsville. Sarah's strong ties to the area have led her to be active in many roles within the community. She volunteers for any opportunity that will be a good fit and beneficial for the citizens of Wellsville. 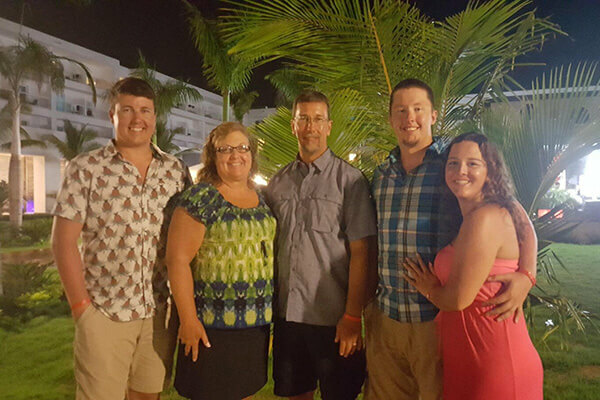 Not only is she a successful realtor, resident, and active community member, Sarah and her husband Doug are proud parents of Wellsville High School grads Ryan and Jared. They are also the owners of Milestone Events, a beautifully restored event space in downtown Wellsville. They reside on a farm near the Douglas/Franklin county line with their amazingly smart dog Bess (you have to ask Sarah about the dog and the newspaper), several cats and a small herd of cattle. “Professional. Knowledgeable. Sarah Klamm took great care of us with our as-is home sale. “Sarah Klamm is an excellent real estate agent!! She is very knowledgeable and always made herself available to answer any or all questions.